GEMA Virus is a malicious infection that gets into your computer via a drive-by download. It is commonly delivered by Trojans and other types of computer threats. GEMA Virus is categorized as ransomware which means that it holds a computer "hostage" until user pays ransom fee. GEMA Virus infects users who have German IP address. Upon the infection the malware "reads" the IP address and determines which version of this ransomware it is supposed to install on the affected computer. There is more than just one version of this infection. GEMA Virus belongs to Ukash virus family, and it has at least 30 different ransomware versions. These threats display fake security messages that are marketed to over 15 countries in more than 10 languages. 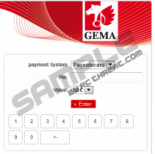 GEMA Virus is also just one of a few infection variants intended for the German speaking users. Aside from GEMA Virus there is also Ihr Computer wurde gesperrt!, GVU Virus, BUNDESPOLIZEI National Cyber Crimes Unite Virus and others. 1. Restart your computer and press F8 while the system boots. 2. System boot menu will appear. Choose Safe Mode with Networking and press Enter. 3. When the system loads, access the Internet and download SpyHunter. 4. Install SpyHunter and remove GEMA Virus. 1. Follow the steps above from 1 to 3. 2. Open Start menu and launch RUN. 3. Enter "msconfig" and hit Enter. 4. When System Configuration menu loads, click the Startup tab and uncheck all the programs on the list. Click OK and exit the menu. 5. Restart your computer in Normal mode and install SpyHunter. 6. Launch SpyHunter and remove GEMA Virus from your computer. 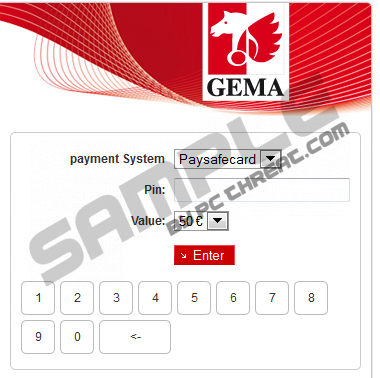 Quick & tested solution for GEMA virus removal.